Professor Dame Jessica Corner has been made a Fellow of the Academy of Medical Sciences in recognition of her contribution to medical science. Dame Jessica, who is Dean of Health Sciences at the University of Southampton, is a world-leading expert on cancer and palliative care. In June 2014, she was appointed a Dame Commander of the Order of the British Empire (DBE) in the Queen’s Birthday Honours List for services to healthcare research and education. Fellows of the Academy of Medical Science are elected for their excellence in medical research, for innovative application of scientific knowledge or for their conspicuous service to healthcare. 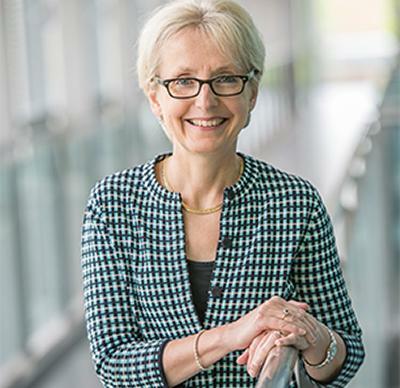 Throughout her own career, Dame Jessica has successfully divided her time between universities and cancer research charities, changing the culture of cancer research by putting patient support at centre stage and paving the way for nurses to become a more central and pivotal force in the care given to people with cancer. New nurse-led interventions, devised by Dame Jessica, directly led to improved outcomes for patients with cancer, her internationally recognised clinical trials have changed how nursing is undertaken and provided insights that have informed new national initiatives to improve the support of people with cancer. Dame Jessica is Chief Clinician for Macmillan Cancer Support, acting as a key internal and external advisor on clinical and service delivery issues in cancer and end of life care. In this role she has worked on a range of initiatives such as the National Cancer Survivorship Initiative, and she has had a significant role in national efforts to improve patient experience through the release of data reflecting the performance of all NHS Trusts in England. She is also the Chair of the Council of Deans for Health, the UK mission group for higher education institutions in preparing health professionals in nursing and allied health. She currently co-chairs the NHS England Cancer Patient Experience Advisory Group, and was previously a member of the Department of Health Cancer Reform Strategy for England, chairing the Patient Experience working group.